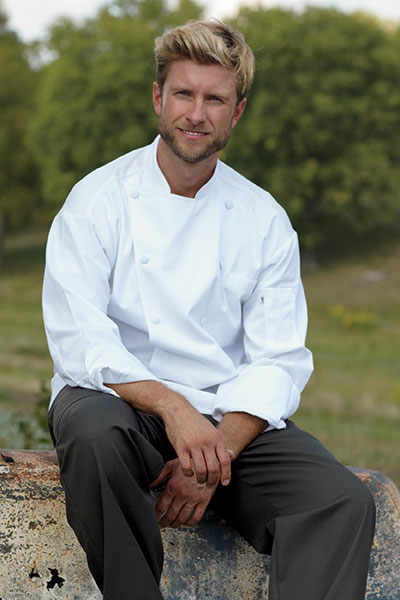 The Barbados chef coats from Sharper Uniforms will keep your staff looking and feeling cool even in the hottest environments. 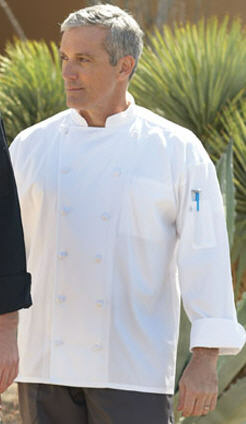 These kitchen uniforms are designed with vents and a mesh back to wick away moisture. 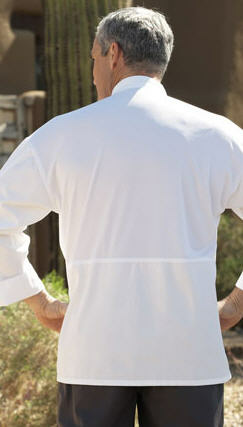 Keep the temperature down in your kitchen with these comfortable cook uniforms. Fabric: 65/35 Poly/Cotton Fine Line Twill - 5.3 oz. wt.